DataONE Webinar Series: The DataONE Users Group (DUG): Supporting and Connecting the DataONE User Community from DataONE on Vimeo. Karl Benedict and Robert Sandusky, the new DUG co-chairs, will introduce their vision for the DUG over the next two years, building on the partnerships developed with DataONE Member Nodes and the broader community. Continuing on the success of the annual DUG meetings, the DUG seeks to become a primary venue for repository community discussions, facilitating connections and providing support. There are multiple ways you can help us achieve this vision, the first of which is joining this webinar to learn more. Dr. Karl Benedict has worked since 1986 in parallel tracks of information management, geospatial information technology and archaeology. Within the College of University Libraries & Learning Sciences at the University of New Mexico he serves as an Associate Professor; as the Director of the Research Data Services Program, and as subject liaison for the departments of Geography and Environmental Studies, Earth and Planetary Sciences, and Biology. 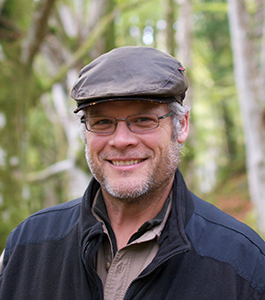 His previous experience includes fifteen years at the Earth Data Analysis Center at the University of New Mexico (including five years as the EDAC Director), for the US Forest Service, National Park Service, and in the private sector conducting archaeological research, developing geospatial databases, performing geospatial and statistical analyses, and developing web-based information delivery applications. In these positions he has developed and managed the development of information technology and data management capacity in support of multiple research and application domains including public health, resource management, hydro-climate research, atmospheric modeling, disaster planning and mitigation, and renewable energy research. As Director of Research Data Services at UNM Karl works to support effective research data management through instruction, training, consultation, and infrastructure support. 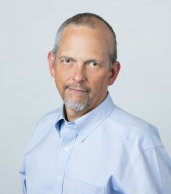 His current research foci include the development of open standards-based interoperable data management workflows and infrastructure in support of diverse research projects and streamlining the integration of research data products into long-term preservation systems to maximize the ongoing value of those data beyond the projects in which they are collected or generated. Karl is currently a co-chair of the DataONE Users Group. Robert Sandusky holds a Ph.D. in Library and Information Science and is currently Associate Professor and Associate University Librarian and Associate Dean for Information Technology at the University of Illinois at Chicago’s University Library. Robert’s research is interdisciplinary and collaborative and is focused on sociotechnical systems, scholarly communications, and distributed work. Currently, his research is focused on two areas: 1) the translatability of notions of computational provenance, as embodied in the W3C's PROV recommendation, to libraries, archives, and musuems and 2) supporting and understanding the data management and data reuse practices of scientists, librarians, and other stakeholder groups. Robert was the founding chair of the DUG and has returned as co-chair of the DUG with Karl Benedict. He also participates in the DataONE cyberinfrastructure working group and was a co-Investigator on Phase I of DataONE.